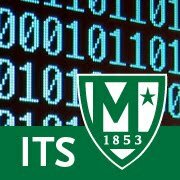 To promote cyber safety and a more secure computing environment at Manhattan College our IT Services department is launching a Cyber Safety awareness campaign. This new quick link contains the Manhattan College Cyber Pledge and a Cyber Security Quiz which will test your knowledge on the topic. Please take a moment to review the Cyber Pledge and take the Cyber Security Quiz. Results will be posted in the blog. You exist in digital form all over the Internet. It is thus important to ensure that the digital you matches what you are intending to share. It is also critical to guard your privacy — not only to avoid embarrassment, but also to protect your identity and finances! Following are specific steps you can take to protect your online information, identity, and privacy. Use a unique password for each site. Hackers often use previously compromised information to access other sites. Choosing unique passwords keeps that risk to a minimum. Use a password manager. Using an encrypted password manager to store your passwords makes it easy to access and use a unique password for each site. Know what you are sharing. Check the privacy settings on all of your social media accounts; some even include a wizard to walk you through the settings. Always be cautious about what you post publicly. Guard your date of birth and telephone number. These are key pieces of information used for verification, and you should not share them publicly. If an online service or site asks you to share this critical information, consider whether it is important enough to warrant it. Keep your work and personal presences separate. Your employer has the right to access your e-mail account, so you should use an outside service for private e-mails. This also helps you ensure uninterrupted access to your private e-mail and other services if you switch employers. There are no true secrets online. Use the postcard or billboard test: Would you be comfortable with everyone reading a message or post? If not, don't share it.